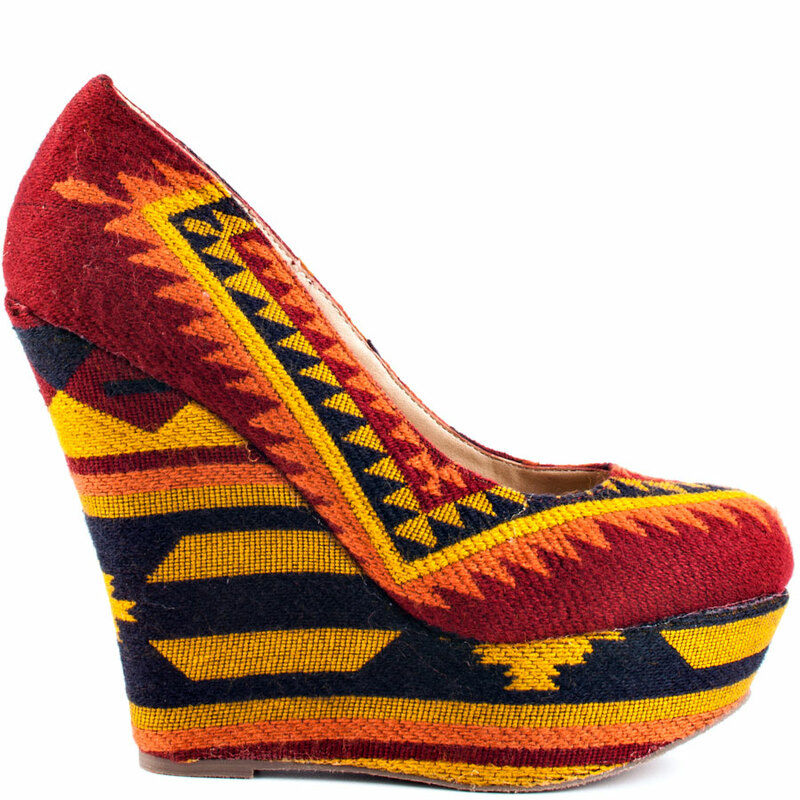 With the heat the way it's been, I'd take a bet we're headed into Indian Summer, which inspired me to showcase this colorful tribal print wedge. What better way to roll into Indian Summer than with this Steve Madden Pammyy M Wedge. Featuring a must have silhouette this season - closed toe wedge, a stunning tribal print, covered 5" wedge heel with a 1 1/2" platform, you will be the Queen of laid back cool with this season's relaxed vibe print. The sunset in the desert-inspired colors liven up jeans and dresses.